There used to be a Sci-fi television show called "Sliders," where a young boy named Quinton discovered how to create wormholes that allowed him and a team of his to travel back and forth through time and space. One of the marvelous joys of studying God's Word, is that it affords us the privilege to travel back and forth through the annals of time without the Quantum Physics. Instead we open the divinely inspired Word of God, and by His Spirit receive access to the revelation and understanding of the timeless, deeper things of God. It is there that God reveals His concealed intentions, His purpose, His plan, through the patterns He has communicated through His Holy Word. It is in that posture that we witness the Old Testament prophesying or pointing toward the New Testament, and the New Testament fulfilling the Old. He placed the essence of Godself, Nashamah (Hebrew), in Adam and he became alive and aware, and fully connected to God! It was through that connectedness that God satisfied Adam's need for a mate. Through that relationship that God walked with Adam in the cool of the Garden. 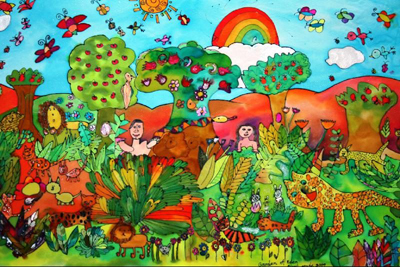 God tested Adam and Eve's reciprocal desire for relationship, when He communicated their access to anything they wanted except what He said they could not have. The high cost for their ill-chosen decision was death - separation from their life giving source. Yet in their fallen and naked state, our loving God sacrificed innocent life to cover their sin (life for life), and points us ever forward to the amazing grace of a Loving Father who would ultimately cover a multitude of sin by Love in action. The word “tabernacle” is translated from the Hebrew word mishkan which means “a tent: a covering, dwelling place, home, or tabernacle.” Another form of tabernacle was the sukkah, translated to mean booth, inhabited by the children of Israel who lived on the perimeter of the Tabernacle during their journey through the wilderness toward the promised land. 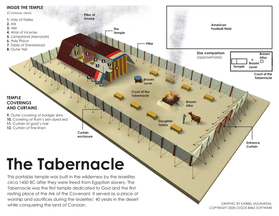 The Tabernacle of David was a tent, much like the Tabernacle of Moses, in so much as it served as a place of worship that was to "house" the very presence of the Lord through the Ark of the Covenant. There was however, a stark contrast as it was marked by a dynamic worship transition from animal sacrifice, to jovial sacrifices of praise. Instead of boundaries, limitations, and the fear of death that prohibited the people from drawing near to the presence of God, the Tabernacle of David presented access to those who would draw near with authentic heartfelt celebratory worship and praise in the presence of the Lord that included Jews and Gentiles. While the Tabernacle of Moses remained at Gibeon (1Chr. 16:37-40 and 21:29), with all the sacred articles of worship, it lacked the presence of the most important article - The Ark of the Covenant! For the rest of King Saul's rule the Ark of the Covenant representing the presence of God was not among the chosen people of God. So the Tabernacle of David covers the establishment of David's Kingdom, the recovery of the representative presence of the Lord through the Ark to God's chosen people by King David, the establishment of a new order of worship as the heart or centerpiece of David's unified Kingdom, the move of God among the people in this season, as well as the covenant God made with David (Davidic Covenant) and all nations. * While the tabernacle of Moses remained at Gibeon (1Chron.16:39-40), with all the articles of furniture (except the Ark of the Covenant itself), the tabernacle of David was on Mount Zion, with the Ark as the only sacred item. * Unlike Moses’ Tabernacle, which had three compartments – the Outer Court, the Holy Place and the Holiest of All (where the Ark was placed), all divided by veils. Only Priests and Levites served in the Tabernacle of Moses. * The tabernacle of David was on Mount Zion, with the Ark as the only sacred item. no veil! Jew and Gentile worshipped together in the undividedTabernacle of David. But wait! There's more! Join us next Wednesday at Shepherd's House Open Bible Church at 7:30 PM! Feel free to ask questions or make comments here on the M3Summit.net/tod page! We have been through quite a journey as we have been exploring the Tabernacle of David. As we press ahead, let's have a brief review of what we have covered last week. The Ark of the Covenant, which was the full glory of God’s presence among the people of Israel, had been removed from the Holiest of All (Read the full account in 1 Samuel chapters 4 to 7). The priests brought out the Ark in the midst of a battle that Israel was losing against the Philistines. In addition to the defeat dealt to them the Ark was stolen by the Philistines. Consequently the priestly family experienced death in monumental proportions. Eli and his sons died, as well as Eli's daughter-in-law during child birth. The new born child was named Ichabod, which means, "The glory has departed," for truly the glory of the Lord had departed from Israel. 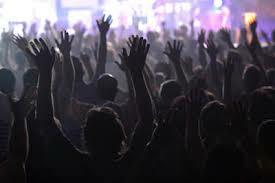 Application: We must not take the presence of God, nor the communicated patterns of God's will for granted. Do what God wants - God's way! For the rest of his reign, King Saul never sought out the recovery of the Ark. Worship continued as usual in the Tabernacle of Moses with it's divisions, slaughter tables and the slaughter. In fact every piece of sacred furniture and practice continued; including the burning of the oil in the lampstands, the daily making of the showbread, and the burning of the incense, except for the most important object - the Ark of the Covenant! 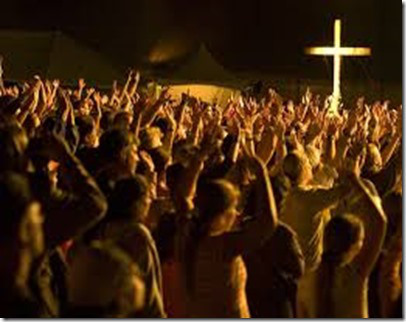 Application: Is this a picture of worship in many of our churches today? The glory of the Lord has left the building, but we're just going through the motions. It's time to seek out the glory once again. When David became king of Israel, his foremost desire was to bring back the presence of God to his people. He wanted it to be the centerpiece of his kingdom in Jerusalem. 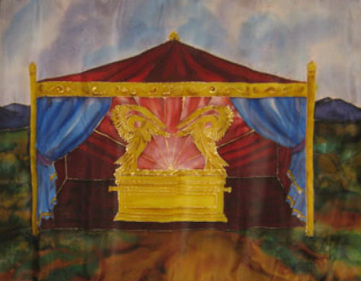 So David erected a tabernacle (a tent) to house the Ark. His first instinct was to seek the support of the people, and all of Israel was postured to support their king in his efforts to bring the glory of God back to Israel. Upon finding it in the house of gentile named Abinadab, David attempted to move the Ark using a new cart. As they crossed over a threshing floor, the Ark became unsteadied and was about to fall from the cart. Uzza, one of the sons of Abinadab, reached out to steady the Ark. When he touched it, he was stricken dead by God. Afraid to move further, David left the Ark in the house of another gentile named Obed-Edom of Gath for three months! During this time, David victoriously fought against the Philistines, and sought the counsel of the Lord to bring the Ark back to Israel. This time they would do it according to the pattern of God's will! Sidebar: What was this pattern? Why did it involve the priests, and the Levites? How was it applied to the handling of the Ark? How does this pattern apply to us now? Over the past several weeks many of us have engaged the privilege to participate in biblical time travel as we explore the Tabernacle of David together. As we glean from the scriptures, we are noting that from the very beginning God had worship on His mind. We are seeing types, symbols, patterns, and shadows that point toward our Lord and Savior Jesus Christ, His Church, the Children of Israel, as well as the future destiny for all intended. If you are just joining us, I encourage you to view the material below so that we might all be on one accord and on the same page, as the Spirit would allow. Pray for God's divine revelation to empower us here and now to have a clearer understanding of God's will for our lives. As we engage the patterns of His Word, may we be better postured to worship Him in Spirit and in Truth. If the Lord has been speaking to you through this exploration and you wish to share with those gathered in this sacred space, or perhaps you have a question or comment, please feel free to use the comments feature of this ministry page to do so. Moses was a vessel chosen and crafted for his call to deliver the people of Israel out of Egypt. He began his life with the threat of "death to the first-born" over his head. His concern for the life of a Hebrew servant caused him to end any further hopes of a future in the palace of Pharoah in Egypt. His first assignment in Egypt completed, he fled into the wildnerness, the next place of his training and formation. When he met God for himself, he had completed his training as he was working in the position of Sheep-herder over his father-in-law Jethro's flock. God calls him to go to Egypt, the place of his first assignment and training, to tell Pharoah to let His people go - so that they may go into the wilderness, the location of his second assignment for training, to have a worship festival. God reveals to Moses the pattern of events that would unfold - how Pharoah would respond, and what He would do. The very threat that Pharoah launched against the first-born of Israel turns out to serve as a harvest against the first-born of Egypt - including Pharoah's own son! The children of Israel flee with the riches of Egypt, but Pharoah sends his armies after them to retrieve them. God steps in as a Pillar of Cloud and Smoke and protects the children of Israel as God dismantles the very chariots of the enemy! The Children of Israel cross over the Red Sea on dry land! What does all of this have to do with the tabernacle? What significance does this hold for you in your spiritual story? 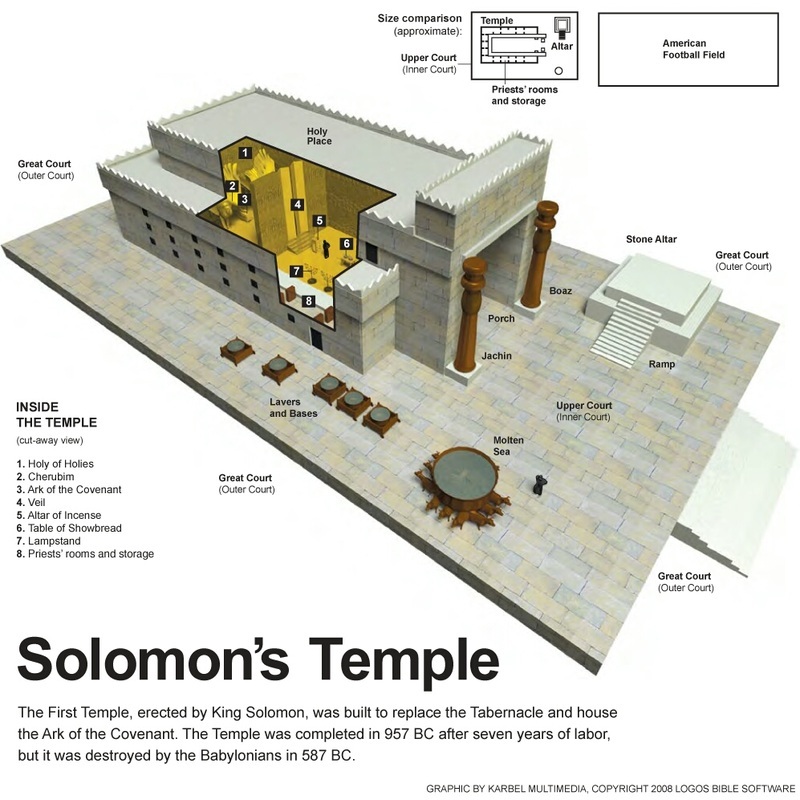 Where did the blueprint for what we call the Tabernacle of Moses come from? Describe, in general terms, the Tabernacle of Moses. 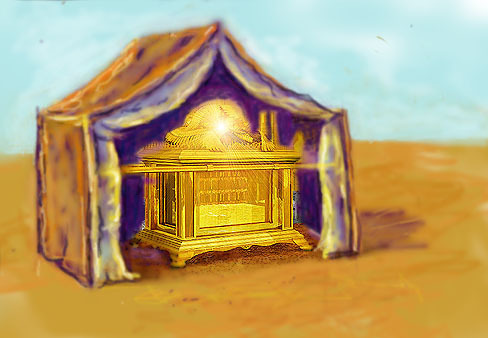 This week we described a specific feature about the Tabernacle of Moses, that we hadn't in times passed. What was that feature? As you read about the Tabernacle of David in 1 Chronicles 13, 15, and 16, what were some of the major differences between the Tabernacle of Moses and that of David? Let's talk about it here online, and prepare for our next gathering. As we explore the Tabernacle of David we find that God has communicated his purposes and plans through the ages with patterns, types, and shadows. The mystery of God has been hidden in the Law (Heb.10:1), in the Sabbath (Col. 2:16-17; Heb. 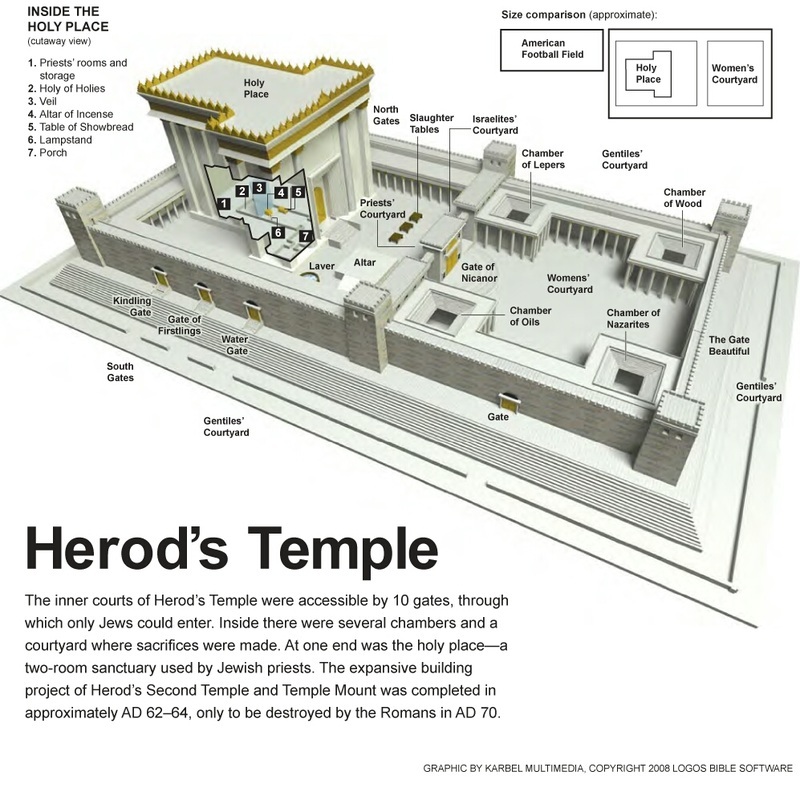 4:1-10), in the pattern of the Tabernacle (Heb. 8:5; 9:24), in the Feasts of Israel (1 Cor. 5:7). These "shadows" reveal the outline of God's plan - the "mystery of God" (Ephesians 3:4-9) that is unfolding at this very moment! 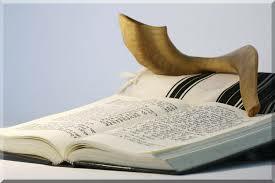 Today begins yet another of the feasts called Rosh Hashanah. It is known as the first of the High Holy days and is the Jewish New Year. It is a season of new beginnings. This is a time for "blowing the trumpet." All of Israel's worship revolved around three major feasts or festivals, which celebrated three special experiences in God's dealings with Israel. 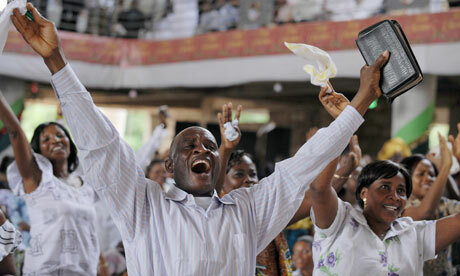 These celebrations were a pre-picture of the work of God in the Church and in our lives personally. Leviticus 23:15-22The Feast of Pentecost is called the Feast of Weeks, because Israel was commanded by God to count off seven weeks plus one day from the Sheaf of First Fruits - 50 days altogether (Pentecost is a Greek word meaning "fifty"). Pentecost celebrated the giving of the Law on Mount Sinai. The fulfilment of Pentecost came 50 days after the Resurrection when the Holy Spirit was poured out on the actual day of Pentecost, when the Law of God was written on the believers' hearts (2 Cor.3:3). The Feast of Trumpets (Lev.23:23-25) - TODAY! The Feast of Tabernacles pre-pictures God's final work in the Church prior to the return of Christ.The Day of Atonement, the day of national cleansing, will be fulfilled in the Church God will have brought His Church to the unity and purity that He has desired from the beginning (read John 17; Eph.4:11-13). The Feast of Trumpets was to gather the people to the door of the Tabernacle to prepare for the Day of Atonement. The last two decades in particular have seen a great blowing of the trumpet message of God calling the Church to come together. Tabernacles celebrated the great ingathering of the harvest. The greatest harvest of souls in all of history is approaching, and our Tabernacles will culminate in the return of Christ. Over the past 10 weeks we have had the opportunity to observe a biblical progression of history that calls us into a consecrated posture, a congregated position, and a concentrated paradigm of worship. We glimpsed at three E's that enunciate that progression. Epiphany, Engagement, and Encounter. Below we can view and consider as we did at Shepherd's House - Engagement. In the 6th chapter of the book Isaiah we have an opportunity to gaze beyond the walls of the yonder palace and peer into the throne room of our Heavenly Father through the spiritual vision of the prophet. The implications of this great vision is that God intended to expand His great Kingdom through the creation of Earth and humanity. Intending that man would be God's representative authority in His kingdom outpost called Earth. And Man would be the very instrument of His dwelling on this side of Zion. From Adam all the way through Abram, from Moses to David, from Solomon to Jesus the Christ and the Church; the tabernacle that God was always building unto Himself was a tabernacle not made with human hands! But it was the original tabernacle by which God would form not with spoken words, but with His hands. The tabernacle that He would breath His Spirit into and He would become a living soul. We are the temples of the living God, for the Holy Spirit resides inside of us! We were bought with a price, and we belong to God! 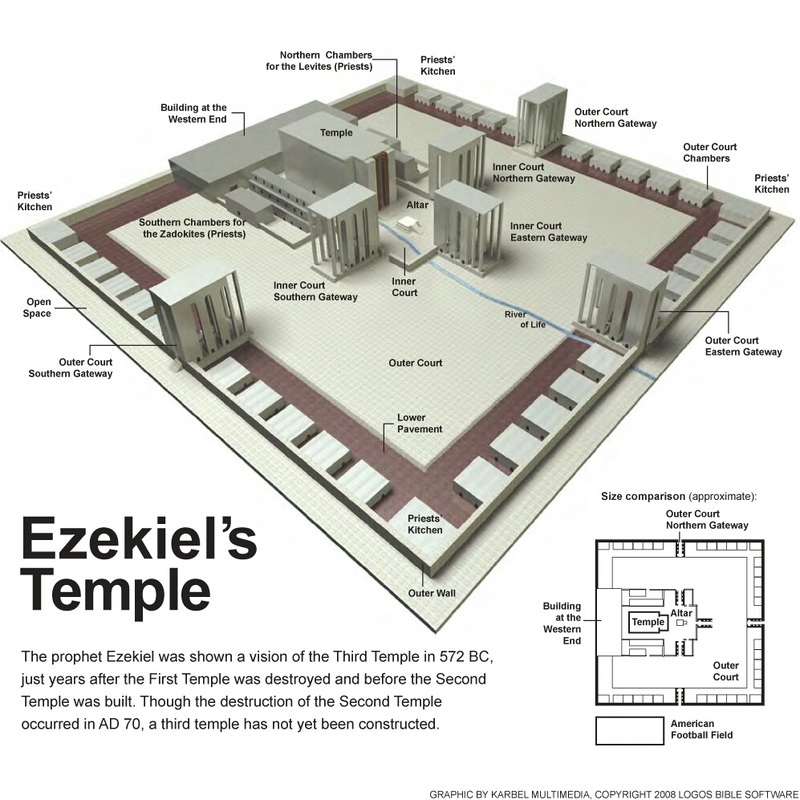 We are the temple that God is building unto Godself made of living stones. Called out of the darkness into His marvelous light that we may show forth God's excellent praises. Are you ready for true worship and praise? Submit yourself to the King of Kings who had you in mind from the very beginning. Click here to find out how.